Chad, the newest member of our leadership team, is thrilled to be part of the MSS family, and is dedicated to ensuring that every child can attend an exceptional school to grow both their hearts and brains. Chad graduated from the University of Illinois at Urbana – Champaign with a Bachelor’s in History and Teaching of Social Studies. He received his Master’s in Educational Leadership from National Louis University and joined them as an Adjunct Professor in their Educational Leadership Department in 2010. Chad began his career in Georgia at Sweetwater Middle School in Gwinnett County and at Drew Charter School in the East Lake Community outside Atlanta. He moved to Chicago to become the founding social studies teacher at KIPP Ascend Charter School on Chicago’s West Side. In 2004, he was asked to join the staff of Social Justice High School in Chicago’s Little Village neighborhood, which was born out of a community-based hunger strike in 2001. During his seven years at Social Justice, Chad served as social studies teacher, assistant principal and principal and was proud to see 95% of all graduates accepted to college. 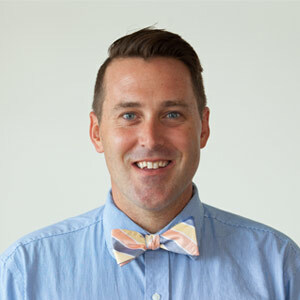 For the past four years, Chad has been the principal at Edgebrook Elementary School on the Northwest Side of Chicago supporting the school to achieve 99% attainment and growth on the NWEA MAP Assessment in both math and reading. While at Edgebrook, he was named a Chicago Principal Fellow through Northwestern University and a Cahn Principal through Columbia University in New York City. He was in the first cohort of Independent School Principals which were granted more autonomy from Chicago Public Schools due to both achievement and innovation. In his spare time, Chad loves running, reading and watching The West Wing, but the center of his life is his family: Baron, Uriah and Zoe.